The METACONCEPT Group offers a wide range of products designed for the costume/fancy jewellery and arts and crafts markets. 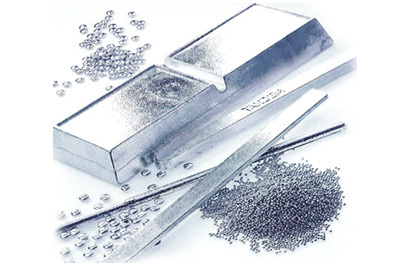 The range includes alloys in the form of bars, ingots and wires as well as chemical products such as powders, deoxidising tablets and fluxes. Finally, a range of silver creams complements the above-mentioned products for use in assemblies and for modifications. Our costume/fancy jewellery flat bars are specially designed for all types of arts and crafts works. Created from primary metals, they generate minimal slag and give an impeccable surface appearance. They especially meet the requirements of clients using a centrifugal or gravity process to produce their parts. Our range also comprises lead-free products chosen for their food-safe properties and which are well suited to these applications. The products covered by this sheet are all tin-based alloys that have been specially developed for the creation of parts using centrifugal processes. Some fashion items or pieces of costume jewellery can also be produced using this centrifugal process with zamak or polyurethane resin. Have you defined the type of application? Contact us. Our technical staff will be happy to assist you in choosing the most suitable alloy. In addition, the METACONCEPT Group collects used baths, off-cuts, scraps and white metal oxides.Contact our recycling department to find out more. The lead-free alloys, references MF100183 and MF100193, both with pb content less than 50 ppm, have been created and developed by the METACONCEPT Group and improved with the assistance, over several months, of engineers specialising in the metallurgy of non-ferrous metals. The improvements made to these alloys make it possible to create any kind of part, even smooth parts, with an exceptional surface quality. The ECOBIJAL CC – 50 PPM improves the quality of the surface treatment even further and the rate of non-compliant parts after treatment is less than 5%. Both items have been vetted by a major high-end costume jewellery manufacturer. They comply with regulations and are environmentally-friendly. The dimensions and weights are always given purely for informational purposes and may vary depending on the production run. Lead-free metallic tablets for metallic oxide elimination. High tin content alloys and Sn40 – Pb51 – Sb5 – Bi3 – Cu1 alloys for creating extremely thin parts such as hub caps, car steering wheels, etc. It is advisable to empty the crucible of one third of its metal volume before refilling it with new alloys or with “cores”. Fill it up to the correct level, allow the bath to return to its original temperature then mix the alloy well by creating a vortex Remove oxides present on the surface using a suitable skimmer and place them in the container provided for this purpose. Contact our recycling department to obtain these dedicated watertight containers free of charge. For better deoxidisation of the bath, use metallic deoxidising tablets or T010 powders. The temperature of the crucible must be checked regularly and be as constant as possible. The metal must be poured into a hot mould (silicon mould) for the creation of parts that are free from micro-porosities. An excessive temperature will reduce the life of the mould. In addition, the quality of the part will be significantly reduced. A temperature that is too low will reduce the fluidity and may create deficiencies in parts cast in this way. As metal segregation leads to the solidification of the alloy, you are advised to mix the bath vigorously before its first daily use. Before adding the bars to the molten metal, make sure that they are not wet and are free of external elements (dust, paper, glue, etc.). The workstation must be well ventilated as the fumes emitted during the melting process are dangerous if exposure limits are exceeded. You are advised to have alloy waste collected by a licensed professional. The METACONCEPT Group offers a recycling service via watertight metal containers. All of the information contained in this document is provided for informational purposes only and the METACONCEPT Group shall not be held liable for it.